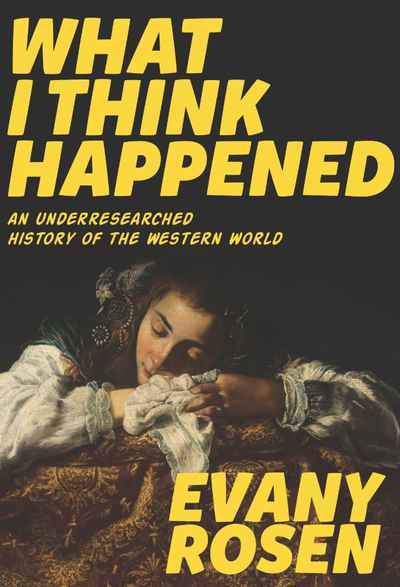 This debut book by comedian Evany Rosen is really two books: a savvy, no-holds-barred romp through the history of the western world, and a personal 'femmoir' by a self-described 'failed academic' who recasts historiography from a feminist perspective — albeit an underqualified and overconfident one. In these wide-ranging comic essays, Evany Rosen explores numerous historical events and personalities that have had a personal impact on her as she attempts to understand why they’ve been the object of such fascination, from her unnatural obsession with Napoleon, to her misguided understanding of the Royal Family, to her intrigue over America’s dumpiest presidents. Rosen's approach to history is to make it personal, which any good historian will tell you is exactly what not to do; but in doing so, and with whimsy and irreverence, she rescues history from the dusty confines of 'intellectually aggressive' men and makes it fun again.